01/01/2015 02/13/2017 LetsPlayNintendoITA72 Comments on What Are Your Expectations For Tapped Out in 2015? What Are Your Expectations For Tapped Out in 2015? Hello fellow tappers. Happy New Year once again. 2015 is now upon us and I’d like to talk about what may or may not be coming in the new year. Last year Homer asked for some things, only one thing came true (Stonecutters). What do you expect from TSTO this year? 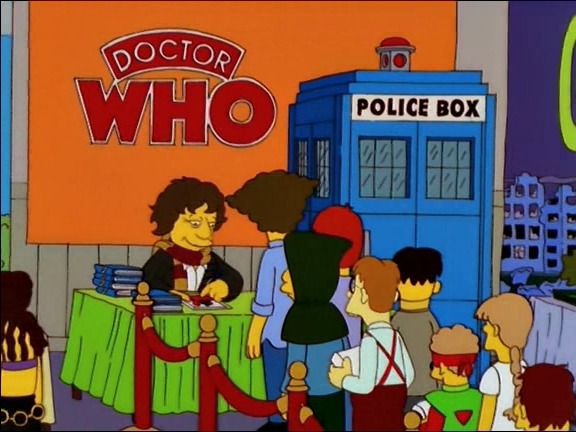 Always been in the intro of The Simpsons, we need both! And stop having Maggie only in one of Marge’s job! As Homer asked last year, a real proper version of Sideshow Bob with his family as a bonus! This is the hardest with BBC owning Doctor Who but you never know! What are your expectations? What do you want in this year’s TSTO? Leave a comment down below and see you next time! Happy tapping! 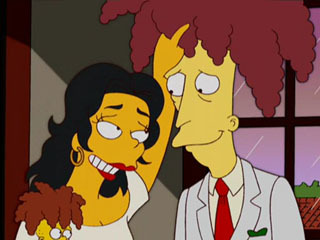 Since “Lisa’s Wedding” there were several episodes set in the future. What if a new ‘alternate universe’ was created, similar to KrustyLand but instead of tapping the KL van to get there the player whould tap Professor Frink’s “Astrology Computer” (as seen in “Future-Drama”). A whole new zone, with exclusive buildings and characters. New characters would include the future versions of the characters already unlocked during regular gameplay. We could have the demolition expert Bart, college student Lisa, Nuclear Power Plant supervisor Milhouse, Teenage Maggie, One-Eyed Moe, Hugh Parkfield (and his parents) and, naturally, the ‘aged’ characters that appear in the episode, including Marge and Homer. Buildings would include the college building, the Parkfield Manor, future Simpsons House and many others, along with decorations like floating cars and so on. That’s from “Lisa’s Wedding” alone. From “Bart To The Future” we could have grown-up Ralph, Nelson, Otto, Krusty (and everyone who helped Bart with the Coolness report), Blind Flanders (and his now homosexual sons), Kearney as Lisa’s bodyguard, the ghost of Billy Carter, Maggie Junior, etc. Buildings would be Bart’s apartment, Nelson’s Club, Camp Davis, future Flanders house, and some decorations could be Lincoln’s Treasure Chest (and a quest line for future Homer to find it), the Marine One helicopter, Ralph’s beer keg, the hoover bus, Bart’s guitar and possibly something related to their band. You got the idea. “Future-Drama” has tons of characters (including Jenda, Bart’s girlfriend, Moe’s clones, Chalmers and the RboCops of Springfield), new versions for the present buildings (such as the three cooling towers for the power plant) and ideas for decorations and NPCs (as the uni-clams). 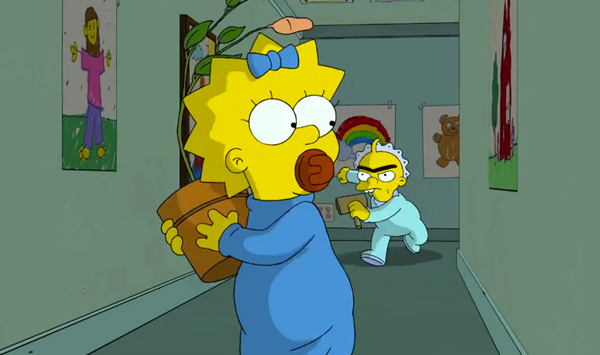 Finally, “Holydays Of Future Past” brings the next Simpson generation (Bart’s sons and Lisa’s daughter), Maggie’s band, Bart’s loft at Springfield Elementary, Lisa’s home, the Cryogenic facility, Heathrow Teleport Departures, the MadMax plane, Patty’s and Sealma’s lovebots, etc. 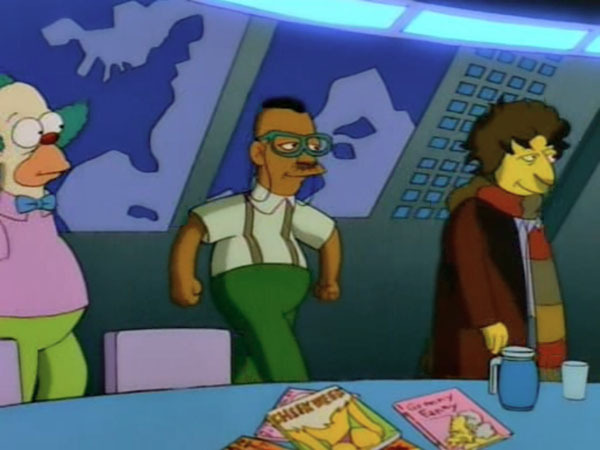 From “Days of Future Future” we could have zombie Milhouse, the Cretaceous Park, old age Duffman, and so on. I believe this would be a fun addition to the game, and eventually we will have more episodes set in the future. This could also be a great excuse to include Futurama’s characters! I am loving this idea. It would be brilliant if it happened! a way to put characters in inventory and keep there buildings out.example: Space mutant and drive-in. More KL content and more inclusion of KL in events and quests. 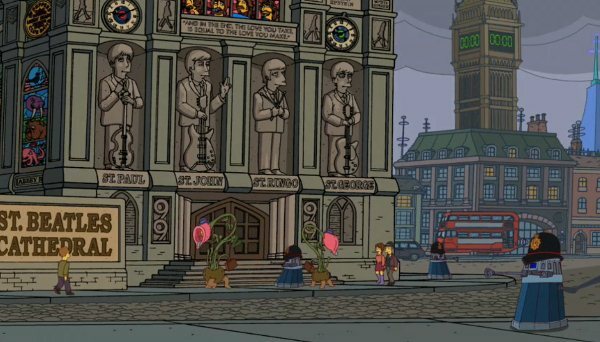 Definitely a Futurama event!!!! Please!!!! And it would be nice to rotate the building any direction not just two!! It’s like that because you don’t want to see the back of the buildings. Moe’s could have the trash can though. Wanna see west springfield with deserts cactus oil field and where to put mt carlmore and saran anvil! I’d like more boardwalk tiles. I could probably fit everything if I made one giant boring looking rectangular boardwalk, but I don’t do boring. The best part of this game to me is the designing and building (like a portable lego set) so having a max on tiles really limits my design. Christmas decorations coming down in my house today so I think my Springfield will also 😦 … there is so much potential great content to be added. Personally I’d like to see the Little Lisa recycling/slurry factory (new tasks for Lisa & Mr.Burns), Bart’s factory he buys in the auction (new tasks for Bart & Milhouse here!) + Frank Grimes/Frank Grimes Jr. The Maison Derriere with Belle & Helen Lovejoy “to think of the children!” (Several potential new tasks for a number of Springfielders including Marge on a bulldozer!) Krusty’s plane ‘I’m on a rolla-gay’ (new Rory B Bellows skin for Krusty & new tasks like fake his own death etc!) … a lot from just 3 episodes! I would definitely like to see Troy McClure and some other characters you already wrote. And I would cancel forever he worst event ever Valentine’s day and replace it with some random event (or major land update, like 6 stripes of expanzions!). Also on anniversary of The Simpsons Movie there may be Trapuccino event with glass around Springfield, Frink’s Acid drill, Thousand eyes squirrel, Spider-Pig and of course questline with Russ Cargill. And some items like Sptingfield Gorge would be also nice. Yeah i should add Spider Pig with the silos! As soon as i am back home! I would like to see dirt roads! Why do we even need 100 Friends if you are limited to how many Bells, Friendship Points, etc. you can get per day, anyway? It s***s that they cap the # per day. Also, how about a way to delete Friends more easily, right from the Friend screen? So if I see that someone has not played in 4 months, I can just click a button to remove them, rather than go back to the friend list and try to remember which people it was? I disagree with people who say they should slow updates because they are running out of characters. That is silly, I would stop playing if they did that. As it is I’m sure most people play longer during Events, and then slow down to maybe a few times a week when there are lulls. Fresh new content is a MUST! Also I bet because the creator of the game is one of the writers on the show, they will start making things specifically for content. So the game will be loaded with more content from newer seasons then classic ones. I expect to see Herb Powell and the Homer in the game. Also I love Baby Gerald but don’t know if I really want him and Maggie as their own characters. I guess if we have hamsters, already, though. You get FPs from all friends. No cap just a sliding scale. We definitely need Maggie in the game. She’s a key character and often has her own storylines or contributions to many episodes. We need to see more of her. How about, instead of huge, useless items that need to go in the water and take up space better left for the boardwalk, we get more boardwalk buildings? There have been a LOT of buildings seen on the waterfront, not just in “My Sister My Sitter” (which also gave us Lisa’s babysitting job, the “Loneliness and cheeseburgers” line, and the animation for Homer and Marge walking in their evening wear) but in many other episodes. I’d especially like to see Burns Casino. Everyone talks about how neglected Krustyland is, and with good reason. But since the original release, we’ve had seven new attractions. The Squidport has had exactly one. Most of what you’ve mentioned are decos that don’t generate income; and save for the three-eyed sushi stand, they can all be placed anywhere. The buildings you’ve named don’t fit in with the dedicated boardwalk buildings, either. There’s been only one income-generating, boardwalk-only building since the initial rollout of the Squidport: Bloaters. This is a thread soliciting suggestions for improvements; launching personal attacks on people for not saying “Everything’s fine the way it is” is not only unseemly, it’s entrapment. At any rate, since you’ve launched a personal attack, it seems the only way to avoid a flame war will be to ignore you from now on. This is the last comment I will make in response to something you’ve written. I’d be grateful if you’d show me the same courtesy. I apologise. I deleted my “attack” although it was mostly curiosity. I will leave all Qs from you in mod so we do not activly interact but I will approve comments that does not require a reply. I think they could solve a lot of land complaints by allowing more of the commercial buildings to go there. I think the only newer buildings able to go on both are Johnny Fiestas and the Banana whatever shop – it doesn’t make sense for all of them, but for stuff like the Sequel Stop, Gold Navy, Vulgari etc it would. The Mapple Store has been around forever. I think it goes all the way back to Christmas 2012. They haven’t brought it back for players that came in later on. Almost every other Christmas item has been. one item i dont see them bringing back. That’s the biggest change I want to see to the game: stability. It’s nerve wracking every update that gets released because the first thought I have when my game updates isn’t something good, it’s “oh no, here comes the issues, complaints, level rollbacks, etc.” And without fail we get more comments regarding bugs and glitches than actual happiness for the update. I want to be able to sell back limited time stuff. All those extra V Day and Easter fences, the useless Clash of Clones crap, the Christmas bells and angels and the Jack o’ Lanterns and the boxes of fireworks, etc etc. Hell, I don’t even need to be paid for them; I’d happily part with them for free. Because all I do is hide them behind buildings (they don’t go with the town’s proper decor scheme at all) and then I have to get rid of decorations that I actually do want to steer clear of the too-many-items issues. It would be cool to have the option of selling premium items for donuts, at the same exchange rate for non-premium items (meaning you’ll lose some donuts by reselling). That way you could get rid of old premium stuff and buy some new things without having to spend real-life cash. Actually, I’d like to see less content. The game is entering it’s third year and is surpassing it’s lifespan. There isn’t much more to add to the game – we already have characters that have only been in one episode staring as the main character in level updates (Princess Penelope, anyone?) and even brand new characters appearing (Chester Dupree, perhaps?)! Doesn’t this tell you that the writers are getting desperate? I suggest that EA release new buildings (of which there are plenty – in over 550 episodes there is an almost infinite supply of new buildings) more often and just release one freemium and one premium character every couple of months. Oh, yeah. And a monorail. 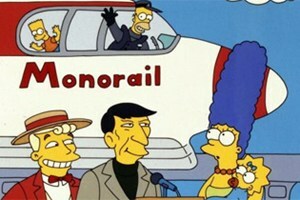 I REALLY want a monorail. Maggie, Troy McClure, Lionel Hutz, Sideshow Bob, Cecil Terwiliger, Sideshow Bob’s parents, wife and son, Helen Lovejoy, Gil, Cookie Kwan, Jessica Lovejoy, Bender (Futurama), Herb Powell, Sarah Wiggum, Contance Harm, Lindsey Neagle, Gerald (Monobrow Baby), Bill, Marty, Wendell, Martha Quimby, Ling Bouvier, Raphiel, Gina Vendetti, Mary Spuckler, Darcy, Jenny, Nicki (Bart’s girlfriends). I got most of these names from a poll from November 2013. Perhaps you could do another poll using these names to see what characters we want for 2015! I want Bill & Marty, myself, perhaps as a friend point update so they can interact with KBBL. haha, that’s perfect! Though i think it was Coach Krupt. Mrs Pommelhorse or Coach Krupt? And ruth and Laura powers! i would prefer to see new buildings with new storyline for old characters than adding on more random characters. I would like to see an “End Task” option added to the town census at the Town Hall to save us having to store various buildings in the inventory in order to free up the character that originally unlocked with that building. I would like joint tasks that require 2 characters to complete to appear on both characters task lists. 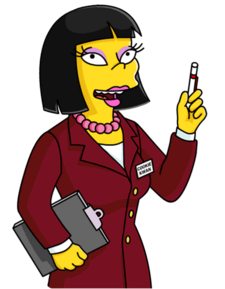 E.g Bernice Hibbert’s 8 hour task is to “Argue with her Husband” but the task doesn’t appear in Doc Hibbert’s task list, which usually results in him already being put on another mission & Bernice’s task greyed out. Finally, on a personal note I’d really love the limit on boardwalk sections to be lifted as I have all the available water spaces but nothing to fill them with, although the recent additions of tropical island & Krustyburger oil rig have eased this a bit. I don’t have the island yet and my water is completely full except for the odd square here and there to make a few things appear to be across the water from the boardwalk. And I have about fifty tiles in storage. The only way I’ll have room for the island is if I store the rig or the whales. I’m leaning toward the former because the whales make up close to a tenth of my bonus and the rig doesn’t do anything. I have plenty of land and am actually struggling to understand how so many people are complaining about having run out, but I really need more water. You mustn’t have all the water unlocked? I have all tiles in the water, and all water items, and still have plenty of water space left. If you’re asking what we want instead of what we expect, I’d like to see a level based on the episode “New Kid on the Block.” The Winfield House and Laura Powers can be the cash-only combination, Ruth Powers can be the premium character. We’ve already got the Dutchman and did the whole Homer-eats-everything-in-sight thing as part of the SP quest line, so just focus on the A plot. 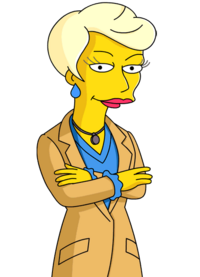 Really, though, what I want is for the characters released with the new levels to be related somehow, like Bernice Hibbert and her brother, Miss Hoover and Dewey Largo, Apu’s family, Milhouse’s parents, Judge Snyder and the lawyer, Dolph and Jimbo, even Lampwick and Roger Meyers. Last summer gave us the one-character Level 43, and ever since it’s been two minor characters thrown together at random: Akira and Database, Uter and Artie Ziff, Greta and Nelson’s mom, Princess Kashmir and Fred Quimby (though he also had the French waiter along for the ride), and Janey and Lurleen. Where are the connections? Hi I would like to be able to play, I mean such a big company should sort out its servers, then the rock camp that would be good, why not the springfield gorge, and yes I would love Maggie, and please more land. Amen to that. I have only been able to get on the game a handful of times over the last week. Make the game load correctly and I’ll be happy with ANYTHING they dish out in 2015. I would love to see a ‘re-set time’ for visiting neighbours, say 8am. Whilst I try to visit everyday sometimes it gets really late and I find it irritating that if I can’t visit until say 11pm, the next day will have to be 11pm again unless I miss a day which is fine if there is nothing going on but during an event can mean I fall behind on collecting items. Oh, and of course less glitches but I think I have more hope of winning the Lotto. Happy New Year to all at TSTO and its avid readers. Great idea with the reset time Nancy, I second that request. Outstanding idea for the reset action. EA, are you listening? Like the idea of a reset time – very helpful as you say. Personally I want a bit more tie in with futurama, give us a new zone (like krustyland) but set it as a land that jumps between history of blank future and futurama. If this morning is any indication, I’m expecting endless difficulties as the game keeps lagging and crashing for no reason. AKA, more of the same. It would be very cool, but I don’t think EA will be able to get the rights to doctor who or Leanord Nimoy. A proper Easter event or Whacking Day again. Silly Clash of Clones event. Annoying Valentines or Easter events. Going into my 3rd year with Tapped Out. Oh and need more land. Seems to me the Whacking Day event should be a one-time-only thing. What can they do with it this year that they didn’t do two years ago? It would just be more of the same. how about expanding the requirement for all this event pass just homer and lisa? i know theres still new players but this been out for waay too long. How about more land ?? I have 6 buildings in my inventory that i’d love to have in my town but have no room. Reorganized a few times to make room. But as EA adds more cool items they add no land to place them on. Come on EA…. Previous Happy New Year! Best New Year’s Day Ever! Also expiring items!